“Gold Guy” made an appearance this afternoon at the Astor Place cube. 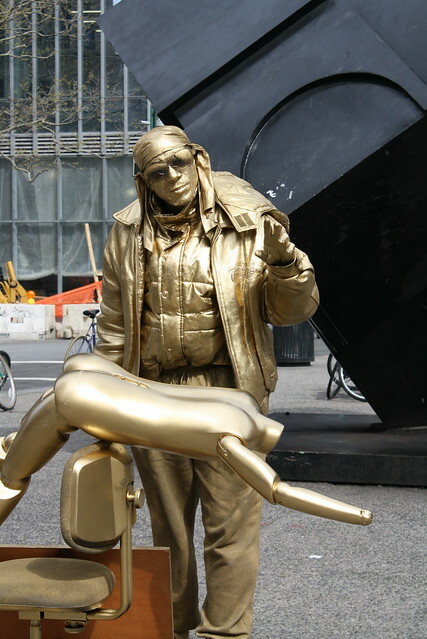 After aiming an aeresol can of gold paint at his face, he turned it toward the desk chair and naked mannequin he planned to use as props during a show in Union Square. “I’ve been doing this for 12 years,” he told The Local. So how’s the human statue business these days? “I do alright,” he said.